Good evening everyone! Welcome to the first of what will hopefully be many Top 5 Fridays! Today I am going to keep it nice and simple (oh boy) and talk about my top 5 games. FINALLY, I HAVE A DEFINITIVE LIST FOR THIS! Now I am only classifying these as PC games, since it is a) what I play most and b) easier for me to pick. Maybe I’ll do a top 5 for consoles in the future! 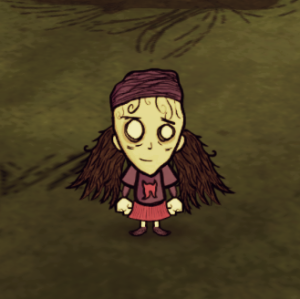 Although I have not played this game in what feels like forever, I absolutely adore Don’t Starve by Klei Entertainment. It is such an incredible survival game with endless replay value. I have still never “completed” the game, but the fun of Don’t Starve is not in the completion, but playing and dying in the most ridiculous ways possible. 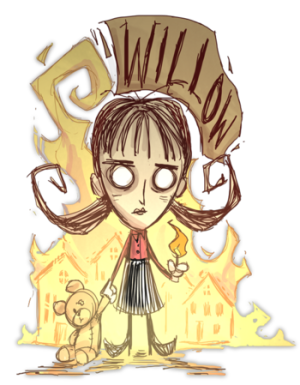 My favorite character by far is my adorable pyromaniac, Willow. She’s my favorite because of her um… fire burning tendencies. 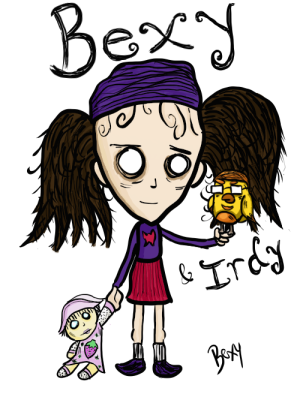 I love Don’t Starve so much, that I even went and created an art work for my own style of character within the game. I loved doing this so much and would love to properly have her in the game on day! Would I classify this game as a top 5? Yes. Why? Because it’s just bloody brilliant. 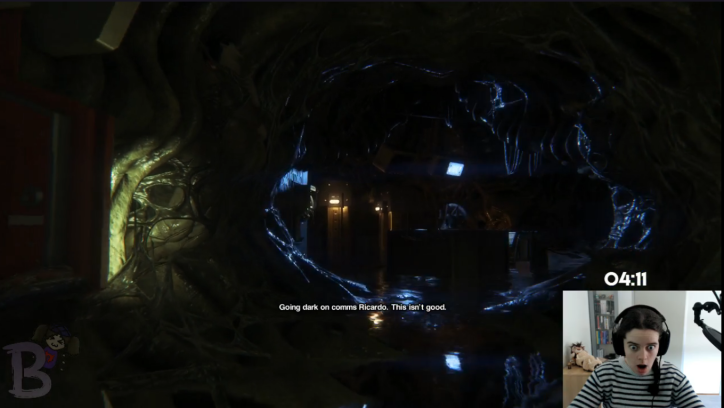 When I played Alien Isolation for the first time, I was freaked out so badly. But what got me so enthralled was the tension building. This game is absolutely the PERFECT horror game. Alien Isolation was also a game I played originally with zero knowledge of the Alien movies (which this game is based around). The second time I played through the game though, I had watched several of the movies and appreciated sections way more. Every single year without fail I will always play Alien Isolation if I want my heart to race and panic to grip me at the sheer thought of Bob (the alien) to catch me. As you can see, I was NOT happy! This game is phenomenal. 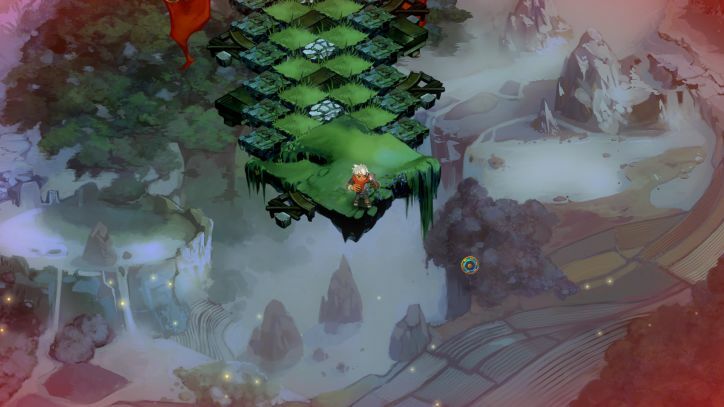 If you have never tried out Bastion by SuperGiant games, what have you been doing?! Seriously, this game will blow you away. Everything from the story to the game play is stunning. I love the variety of weapons that you can play around with and skills that you can change. The music of Bastion is also one of the most fantastic soundtracks in any game, period. How can you ever deny yourself the pure joy of listening to Build a Wall? Incredible. 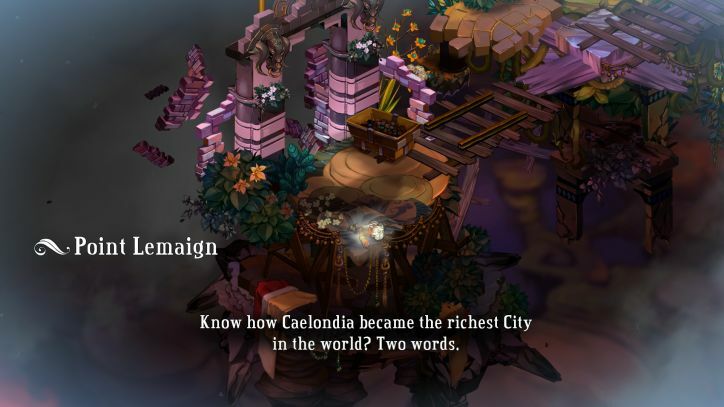 What carries Bastion for me though is the narrator. Throughout the game, each action you take will have the narrator talking. Whether that is you jumping off the side of the world, running around in circles or just doing sweet sod all, he will have something to say. I still remember the first time I heard him talking about me thrashing through the world and thought it was the best thing ever! Every single year without fail, I will play Portal 2. I don’t know why exactly it is that I love this game so much. 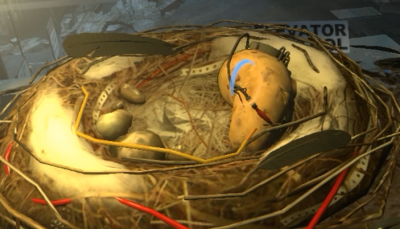 Maybe it’s because of the quirkiness of Wheatly and his jokes, or how “evil” GLaDOS is. Or maybe I just prefer her as a potato? Not sure. I just know that Portal 2 deserves a spot in my top 5 games. I love the story and the music and OH GOSH THE TURRETS SONG IS BRILLIANT IT MAKES ME CRY EVERY TIME. The gameplay for Portal 2 is super intricate with all its puzzles and challenges. 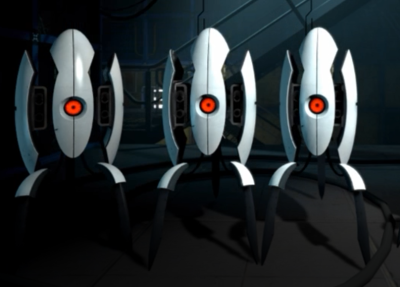 Usually I hate puzzle games (trust me, I’m terrible at them) but Portal 2 is a joy for me. Maybe I enjoy playing it so much only because I know what to do? Pfft don’t be daft, I always forget what to do! Now, I’m not listing these games in any sort of order… but let’s be honest. Stardew Valley by ConcernedApe is without a shadow of a doubt my all time favorite game. Not only did I have the thrill of beta testing this game before others and helping CA with bugs and fixes etc, but I got to show my online community just how excellent it is. 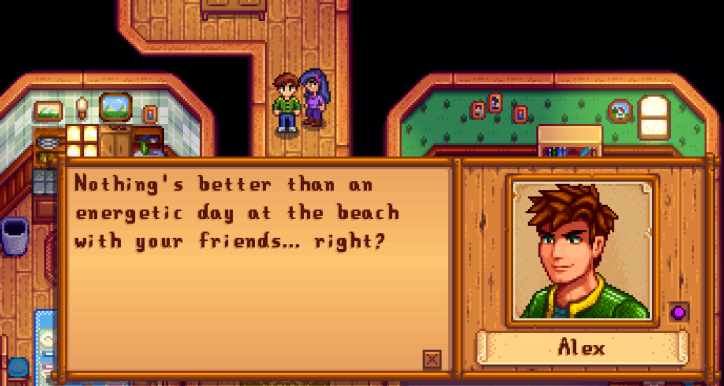 Stardew Valley calls to my soul. It has farming like Harvest Moon, it has friends and interactions and a museum like Animal Crossing and it has combat like Rune Factory. There is fishing, mining, woodcutting, making sure you go to sleep before you pass out at 2am… just GAH. I LOVE THIS GAME SO MUCH. I wouldn’t have put so many hours into Stardew Valley had I not fully enjoyed it. On Steam currently, it says I have 735 hours played. Yes… that many. However, I also played Stardew Valley for hundreds of hours off Steam. So I would clock in my hours as way over a thousand! 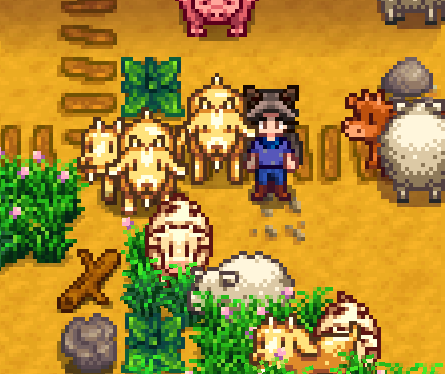 To this day, my baby farm still gets liked on Twitter from the tweet ConcernedApe posted. My baby farm that I still enjoy remembering and owning, but have since moved on to a more updated look. 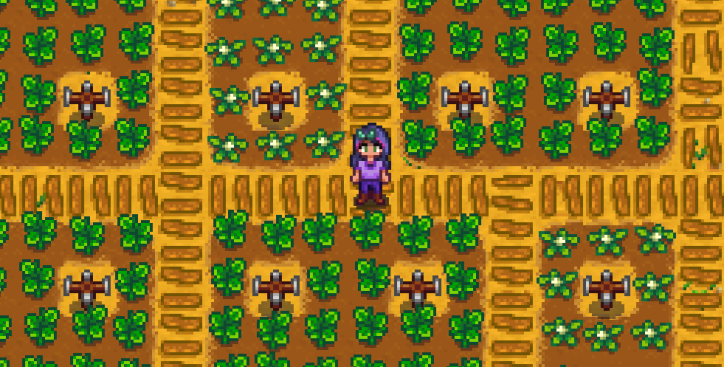 If you have never played Stardew Valley, you need to do yourself a favor and PLAY THIS GAME. For real, you will NOT regret it (and I do not apologize for all the lost hours in your life. It’ll be worth it). What are some of your favorite games? Let me know! 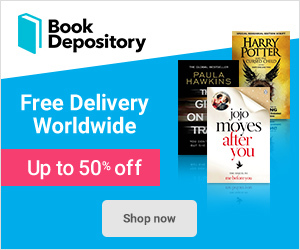 Previous Previous post: Fairyloot Unboxing – June! Next Next post: Goodbye, Perfect – Book Review!